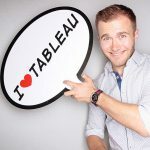 tableaufans.com » How to write back data to Microsoft SQL Server, MySQL or SAP HANA? Other than that we’re always looking for feedback. So please give us an idea how helpful this blog post has been by leaving us a short comment below. Thanks a lot, Timo.